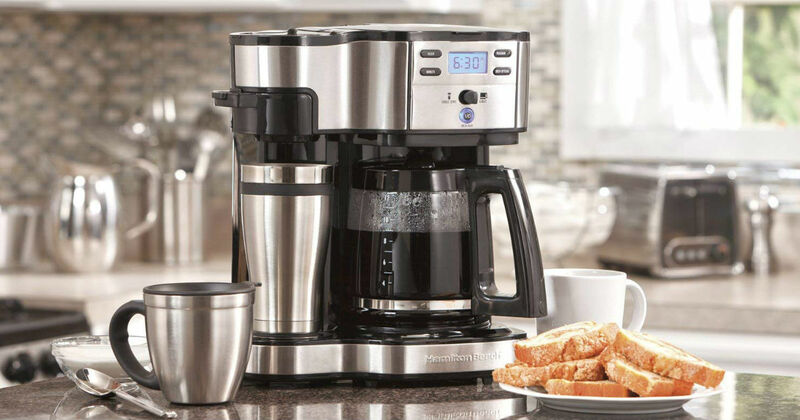 Head to Amazon to get this Hamilton Beach Coffee Maker for only $47.99 shipped, regularly $89.50. Two ways to brew your coffee, single serve or full pot. 12-cup glass carafe included or brew into a travel or regular sized mug using single serve function. Single serve side works only with loose ground coffee or disk-shaped soft pods.